*Disclaimer: I received this wine as a sample from the PR firm for the brand. I ate a lot of seafood this summer. Between Portugal and Maine my late July and early August were all about seafood. 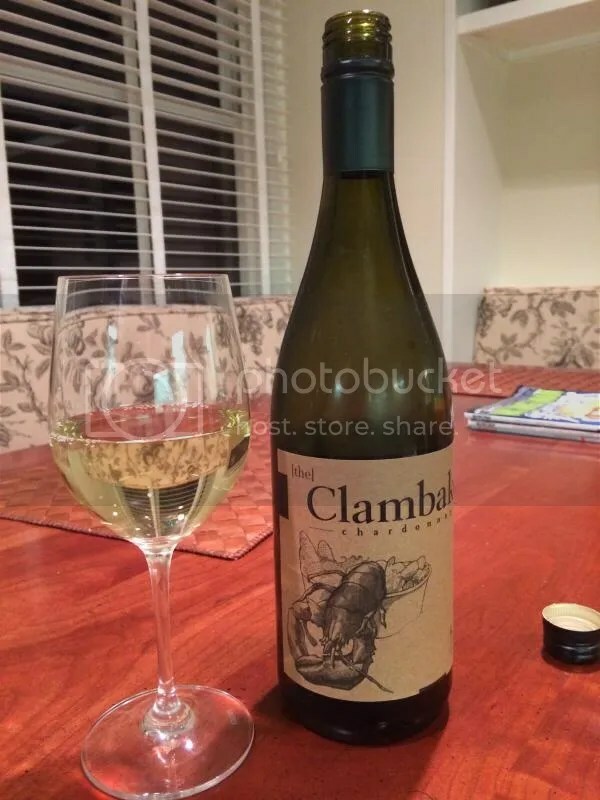 So I had seafood on the brain when I plucked the 2012 The Clambake Chardonnay from my sample roulette. Perhaps it was the lobster on the label that drew me to the bottle. I don’t know what it retails for, as I can’t find anywhere to buy it online…but I’m guessing maybe $14 or so? 1.) I often tend to reach for a slightly oaky Chardonnay to go with my shellfish and lobstah. This wine showed none of that, but was a great foil for the rich lobster meat and butter. 2.) Since I think it retails at a fairly reasonable price, this would actually be a great clambake wine for a crowd. 3.) Here in the DC area, we actually tend to do crabfests around this time of year and it would work really well for that as well. 4.) Fresh and fruity, this is a fun summer wine. On the nose I got melon, lime, apple, and lemon. Overall it displayed a bright fruit nose. On the palate I found apple, yellow apple, lemon rind, and tropical notes. The wine had good acidity and bit into butter quite well. I found some info on the Clambake Chardonnay for you. I’ll definitely check out this wine. Its got to be delicious.